Otokomae is a Kyoto based company famous for the quality and coolness of their tofu. We are absolutely certain that if you try some in our free tasting you’ll be absolutely blown away. 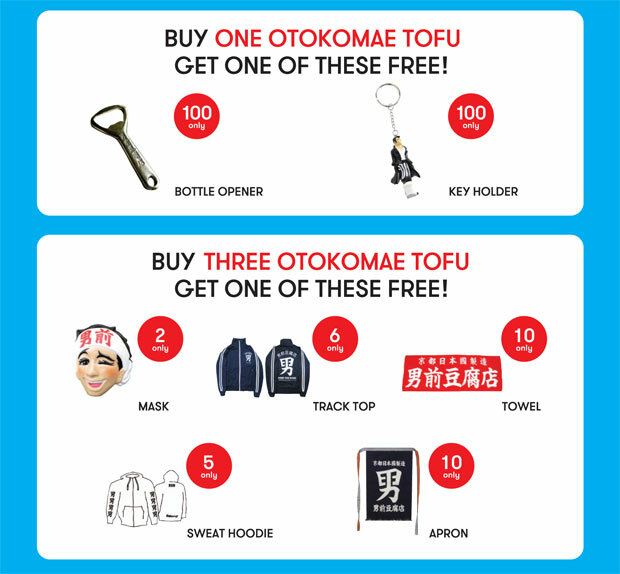 What’s more, for anyone that decides they want some of the awesome stuff to take home with them purchasing otokomae tofu during our event will allow you to enter our lucky dip draw for fabulous prizes! Oooh~! But beware, prizes will be allocated on a first come, first served basis so turn up early to ensure your favourite swag is still up for grabs! But I’m not in London! If you’re in parts blissfully distant from the north circular, don’t worry! We also have a wide selection of delicious tofu and tofu-y products (ahhh, tofu shirataki!) available to buy online that can be delivered straight to your door. Posted in Food, Stores and tagged events, otokomae, Piccadilly, tofu. Bookmark the permalink.